You have been sent this link by the Hoffman UK enrolment team to make your journey to the Process at Florence House as smooth as possible. You might want to bookmark this page, because it’s where you should find everything you’re going to need to be fully prepared for your Process week. If you have booked on a Process at Broughton Hall, please click here, as the information is slightly different. Our enrolment procedure is divided into three main phases – registration, pre-course work and Process countdown. Our enrolment team are here to help you throughout – email enrolment@hoffmaninstitute.co.uk at any time. We’ve also prepared a page of Frequently Asked Questions that you might find helpful, here. Please remember that your place on the Process is not confirmed until we have approved your pre-course work, so please don’t book flights or post-Process accommodation quite yet. Below, you will find a link to a page where you can find your pre-course work. You should allow around 6-8 hours in total to complete it, and you might find it helpful to step away from it and come back with fresh eyes a few times. There is a page of helpful frequently asked questions about the pre-course work here. 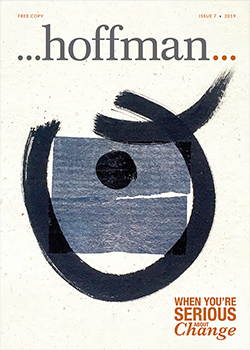 We are aware that this work might elicit some strong emotions for some people – if you find that you need support at any point while you are filling in your pre-course work, please call the office and let us know. 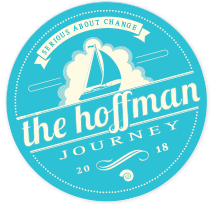 Your pre-course work must be returned to the Hoffman Institute at least three weeks before the start of your course so that one of the Hoffman Process facilitators has time to read it. If you don’t think that you are going to be able to complete your work by the deadline, again, please get in touch, as your place on the Process is not finalised until we have received it and approved your place. If we’ve asked you to complete additional pattern sheets, you’ll find links to them here. Copies of additional pattern sheets are sent directly to us automatically, so please don’t complete them unless you’ve been asked to. Please note – Now that you have received your pre-course work, a transfer fee of £150 will apply if you choose to change your Process date, except in the case of emergency, family bereavement or where a medical certificate can be supplied. See our terms and conditions for full details. As well as readying yourself emotionally for your Process, there are a few practical elements of preparation you’ll need to be mindful of as you count down to the start of your course. We’ll already have mentioned them in your enrolment call, but here’s a quick checklist to help you. We also recommend that you re-read our terms and conditions and the Process ground rules, and re-familiarise yourself with the Declaration and Consent agreement that you submitted. You will be asked to re-commit to these at registration.